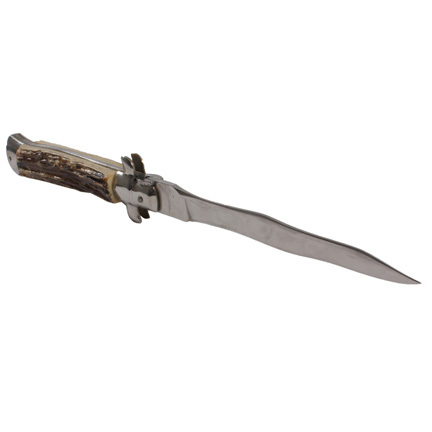 This oversized prop knife was utilized by the character “The Grinch” portrayed by actor Jim Carrey in the 2000 motion picture "How The Grinch Stole Christmas”. 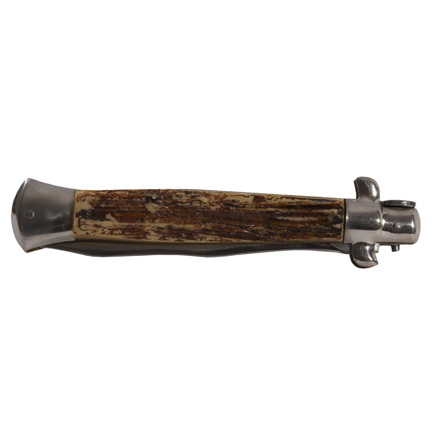 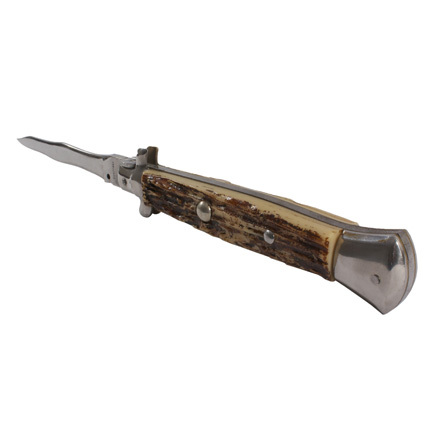 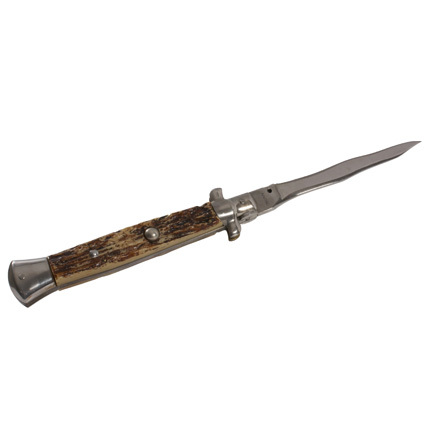 The oversized fully functional prop knife is constructed of a plastic faux wood casing and a working steel blade that was custom made for use in the production. 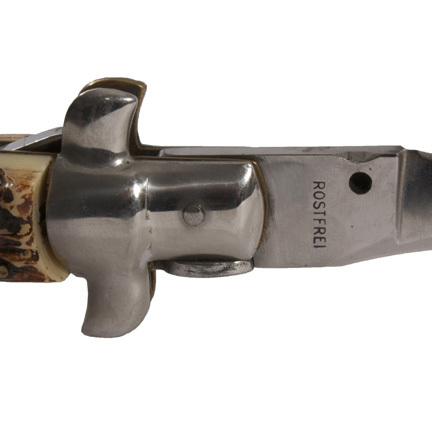 Mr. Carrey used this prop knife in the notable scene near the end of the film when the Grinch carves up the “Roast Beast” while attending a Christmas party. 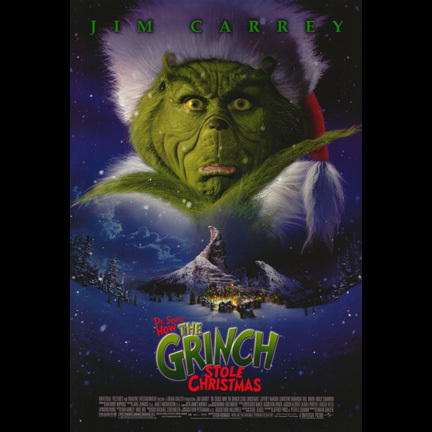 “How The Grinch Stole Christmas” was based on the classic Dr. Seuss children’s book and directed by Ron Howard. 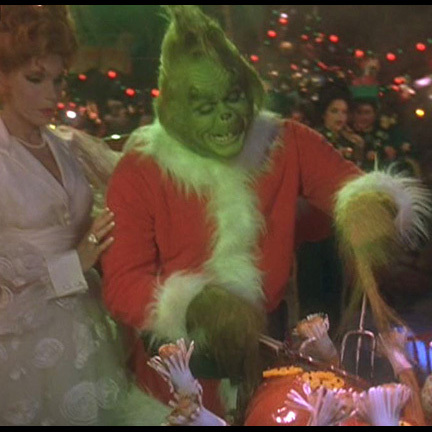 The film won an Academy Award for Best Makeup and was nominated for Best Art Direction-Set Decoration and Best Costume Design in 2001. 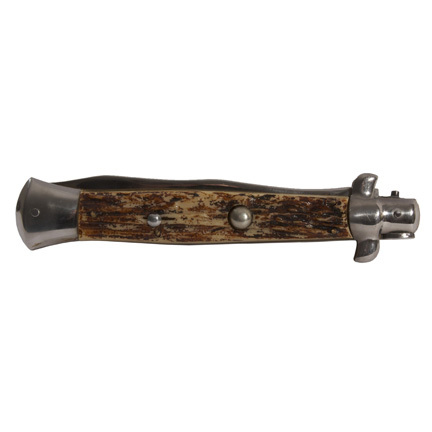 The prop is in good screen used condition and is accompanied by a letter of authenticity from the film’s weapons supplier.